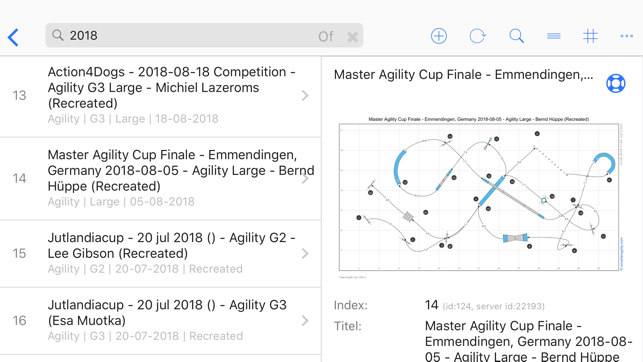 Smarter Agility Course Designer 2 is an agility course designer for iPad and iPhone and is available in 8 languages (English, German, French, Italian, Danish, Portuguese, Spanish and Dutch). 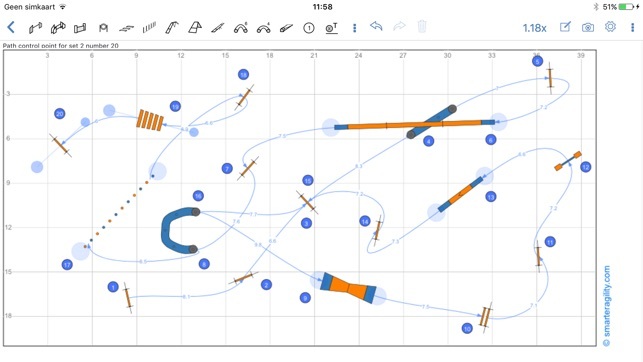 It helps you to easily create, manage, share and build your agility courses. Courses can be synchronized to and from the Smarter Agility web site. The dog's trajectory is added automatically as you add obstacle numbers. However, if needed, it can be modified manually. Group selections allow you to rapidly move, rotate, flip or copy a set of obstacles. 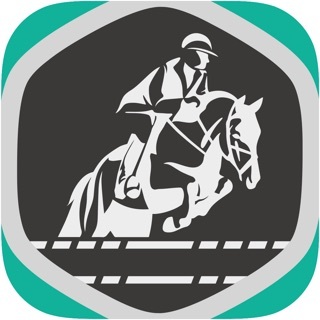 Course properties such as title, course type, grade, height, club, event, event date, judge, as well as labels can be specified, allowing you to easily filter and find courses. Courses can be exported in PNG format and printed or shared using a variety of tools, including email, facebook and messenger. 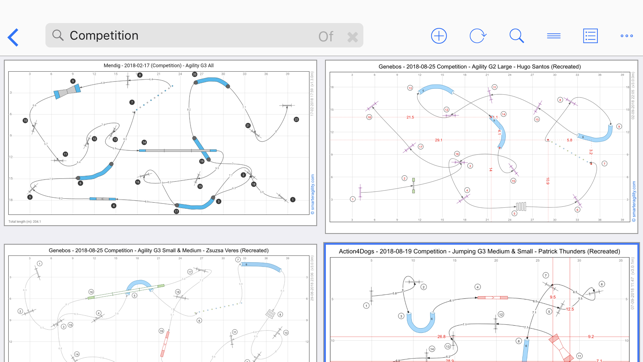 The app also helps you build courses during competition and training by showing obstacle coordinates & distances and via course comparison.